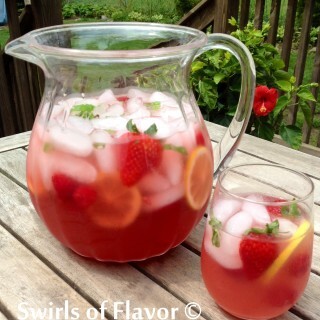 Welcome to the Spring Thyme Recipes & Style Blog Hop! 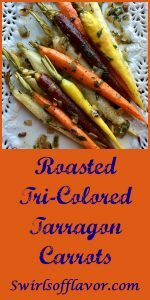 Roasted Tri-Colored Tarragon Carrots are the perfect addition to your springtime menu! They’ll dress up your holiday table, taste fabulous and look gorgeous all at the same time! 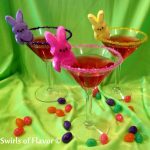 The Easter bunny is hopping for joy knowing that these colorful carrots each provide added nutrition. Purple carrots contain a powerful anti-inflammatory antioxidant giving them their purple hue. Lutein, linked to better eye health, fills yellow carrots with goodness. Fiber abounds in white carrots and the ever faithful orange carrot is brimming with beta and alpha carotene. And wait! It just keeps getting better! 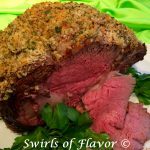 The beauty of this recipe is that it roasts itself into sweet tenderness in just twenty minutes. 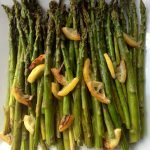 Finish with a toss of creamy butter and the perfect hint of fresh anise flavor for a bowlful of nutrition, beauty, elegance and heavenly flavor! 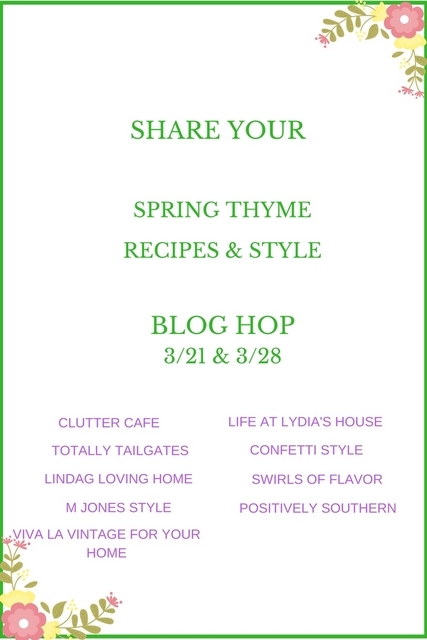 I’m so excited because it’s time for a Spring Thyme Recipes & Style Blog Hop with my blogging girlfriends! 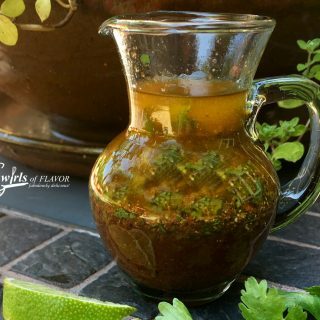 If you arrived here from Jamala’s amazing Viva La Vintage For Your Home blog you’re off to a great start on “spring thyme”! Next be sure to hop on over to my friend Marsha at M Jones Style and check out her fabulous holiday ideas for you. Marsha always inspires! And then be sure to visit all these lovely ladies on the Blog Hop because you won’t want to miss a thing! 2. 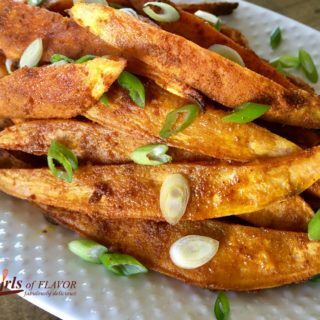 Toss carrots with 2 Tbs. 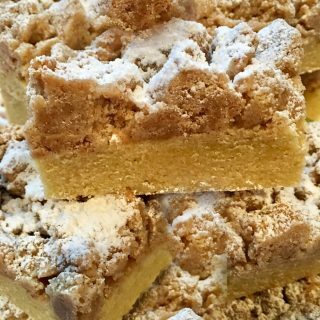 oil and arrange in a single layer on a baking pan with shallow sides. 3. Combine remaining 2 tsp. oil, shallots, kosher salt and pepper and spoon over carrots. 4. Roast 20 minutes or until carrots are tender. 5. Toss with fresh tarragon and butter. 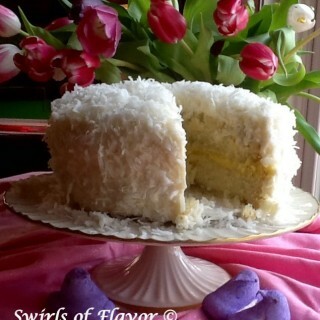 *Recipe can be halved to serve just 4. Peter Rabbit will definitely be making a stop at your house for some of these yummy carrots. 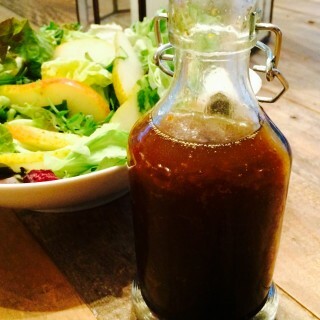 I love a simple recipe (cause I hate to cook) so thanks so much for sharing. Such a wonderful side dish, Gwynn! It looks sooo good! Gwynn, this is the most beautiful dish of healthiness I’ve ever seen. I will definitely be looking for these carrots in their array of colors…and when you added butter to the bunch, I was sold! Thanks for sharing. Gwynn, I’ve never noticed the different colors of carrots (so it’s apparent I need to because my eyes have missed them). I have to go looking for them now. I love glazed carrots so I’m sure I’ll love the roasted ones.. Thanks for sharing this.. This dish looks incredible! I really enjoy carrots so I guess I need to get busy and make this for the family! You’re too funny Jamala! 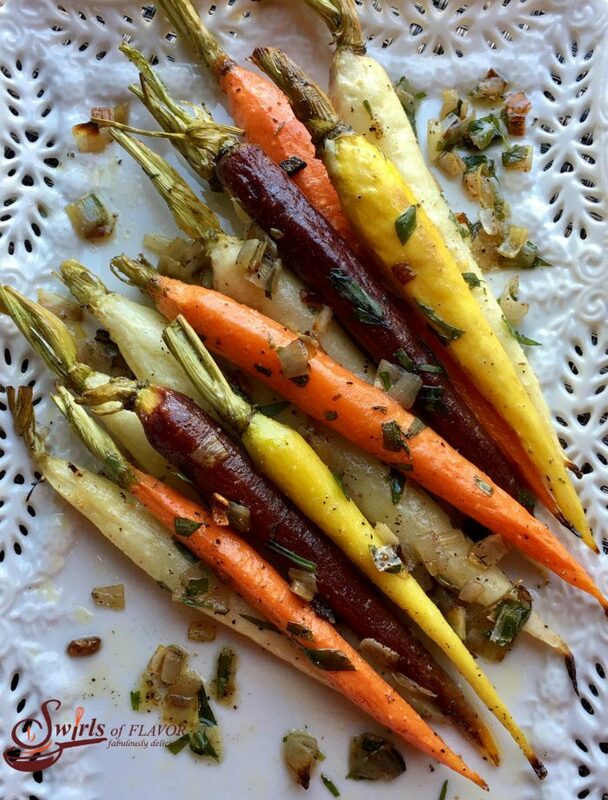 Yes, these carrots are gorgeous and roasting them brings out the sweetness! Enjoy! Butter makes everything better Marsha! That’s my motto! Simple can be delicious! You should give these a try Shelly!